Type of works: design and manufacture of a modular building for use as a mobile classroom. 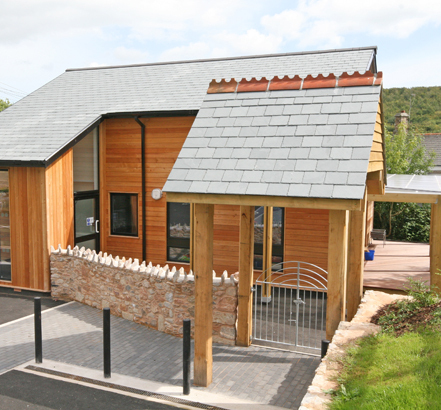 With the expansion of pre-school provision, Ermington Community Primary School in Devon required extra space rapidly. NPS South West, the property design and construction company were commissioned to provide the new building. After the new buildings ground works had been completed, the four bays which comprise the building were delivered and craned-in in one day. Finishing work took eight weeks. The buildings stone and timber exterior and slate roof ticked all the boxes for planning requirements within a conservation area.